The temporomandibular joint connects the jaw bone to the skull at the temporal bone. It controls your jaw and mouth, allowing you to perform everyday functions like chewing and speaking. If you suffer from pain or aches in your jaw, either during movement or after, you might have a temporomandibular disorder or TMD. Elite Dental Arts, located in New York, NY., offers treatment for TMD with Dr. Nick M. Mobilia, D.D.S. Common symptoms of TMD are pain in the jaw area, ear pain, headaches or neck aches, clicking or popping sound when the jaw moves, jaw getting stuck open, problems eating certain foods, and teeth grinding (bruxism). Teeth grinding is one of the more serious symptoms of TMD. When you grind your teeth, the bottom and top rows scrape against each other. Eventually, this continual movement will wear away the enamel. With the enamel gone, the dentin is exposed. This can cause sensitivity in the teeth and open up the mouth to bacterial infections. The most common treatment for TMD is for Dr. Mobilia to prescribe you a night guard. A night guard is a clear insertable device that goes in your mouth and over your top teeth. It essentially acts as a barrier between your teeth. This keeps the teeth from grinding together. For short term relief, use over-the-counter pain relievers or hot/cold compresses. In cases of severe TMD, surgery may be needed. There are a few tips and tricks to preventing TMD. Avoid chewing gum or on other objects like pens. Cut back on caffeine and alcohol. When eating, try to chew your food evenly on both sides of the mouth. If you are experiencing symptoms of TMD, contact Elite Dental Arts today. Dr. Nick M. Mobilia, D.D.S., is available for appointments by visiting our website or calling 212-681-0939. Porcelain Veneers are a great way to reshape your mouth and create a whole new smile. Veneers are a thin durable shell that are placed over your natural teeth. They can fix problems such as staining, cracked teeth, spaces, misaligned teeth, and chipped teeth. At Elite Dental Arts, located in New York, NY., Dr. Nick M. Mobilia, D.D.S., offers veneers and other cosmetic services. Veneers take 2-3 appointments to complete. At your first appointment with Dr. Moiblia, you will work together to decide on veneers that work best for you. There are many different options when it comes to the appearance of your veneers. It is recommended that you do independent research before your appointment. This allows you to have a better idea of what you want your veneers to look like. There are two major choices that need to be made when choosing your veneers: shape and color. Veneers are offered in both round and square shapes. It is a common misbelief that rounded teeth are more feminine, while square teeth are more masculine. This is not true and both shapes are available regardless of gender. For color, veneers come in shades of natural all the way to Hollywood levels of brightness. Once these decisions have been made, the next part of the process can begin. Before veneers can be placed. Dr. Mobilia and our staff will clean your teeth. This allows for an easier bonding between the veneers and your natural teeth. Afterward, an impression of your teeth will be taken. This impression is sent to a dental laboratory to create your custom made and fit veneers. This takes about 10-14 days to complete. In the meantime, you will be given temporary veneers. At your final appointment, the permanent veneers will be bonded onto your teeth. If you’re interested in our porcelain veneer services, or other cosmetic dentistry, contact Elite Dental Arts today. Elite Dental Arts is located in New York, NY. To schedule an appointment with Dr. Nick M. Mobilia, D.D.S., visit our website or call 212-681-0939. Dental implants are replacements for natural teeth that have either been removed or are missing, available at Elite Dental Arts in New York. These implants are better alternatives to procedures like bridges because dental implants require no alteration of other teeth. Dr. Nick M. Mobilia and our oral surgeon Dr. Harvey Grossman offer dental implant services to our patients. The entire implant process itself takes a few months to complete. The first part of the procedure is to install the implant within the mouth. This implant is a dental screw that will be inserted into the jaw bone. During this procedure, the patient will be under general anesthesia. Discuss any and all concerns with our staff, and we are more than happy to find a solution that works best for you. Once the patient is sedated, an incision is made into the gums. The dental implant is then inserted. After everything is finished, the gums will be sutured shut. The implant will need 3-6 months to fully heal. During this process, the jaw bone will form around the implant. If needed, temporary crowns can be installed to allow you to eat and speak normally. Once the implant has healed, the next step can be taken. An abutment is placed onto the implant. This will be the base of your new tooth. From this, an impression will be made, which will be made into your permanent restoration. The permanent restoration will then be placed at your last appointment. Dr. Nick M. Mobilia and Dr. Harvey Grossman are available for consultation and examinations through appointment. Contact Elite Dental Arts in New York by visiting our website or by calling 212-681-0939. Did you know that Botox isn’t just for cosmetic purposes? In Dentistry, Botox can be used to treat orofacial conditions. It can help reduce the destruction of your teeth, gums, and jaw joint by relaxing your muscles. This also reduces discomfort and pain in these areas of your face. There are many other positive uses as well. If you are interested in botox for dentistry, schedule an appointment with Dr. Nick M. Mobilia, D.D.S., at Elite Dental Arts in New York. Botox is derived from the bacterium that causes botulism. The neurotoxin is harvested and purified in a lab to make it viable for treatment. 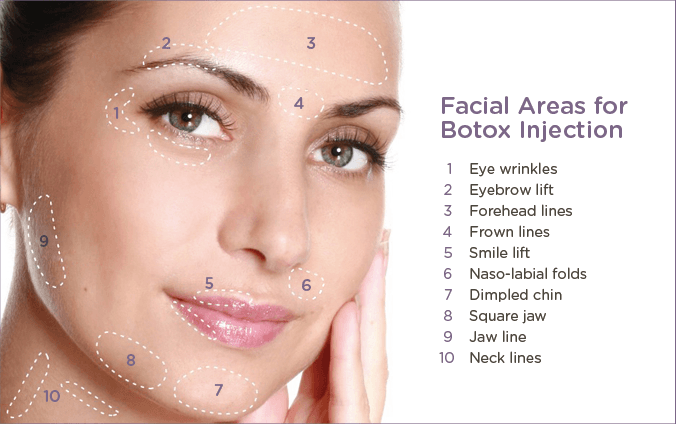 Botox is injected into a muscle, attaching to the nerve endings. The toxin will block nerve signals to the muscles, preventing contractions. This can last for three to four months. In the dental world, Botox can be used to treat clenching of the jaw, TMD, and headaches. At your appointment, Dr. Mobilia and our staff will provide you with all the necessary treatment information. This includes cost, benefits, and risks. Advantages are immediate results, no recovery time and minimal complications. Some minor disadvantages are the cost, the repeated treatment, and the possibility of botox accidentally spreading throughout the body. Many believe that the benefits outweigh the risks. Botox can be the only solution for patients where other treatments have failed. If you are interested in botox for density, schedule an appointment with Dr. Nick M. Mobilia, D.D.S. Elite Dental Arts is located in New York, NY. For appointments, visit our website or call 212-681-0939.